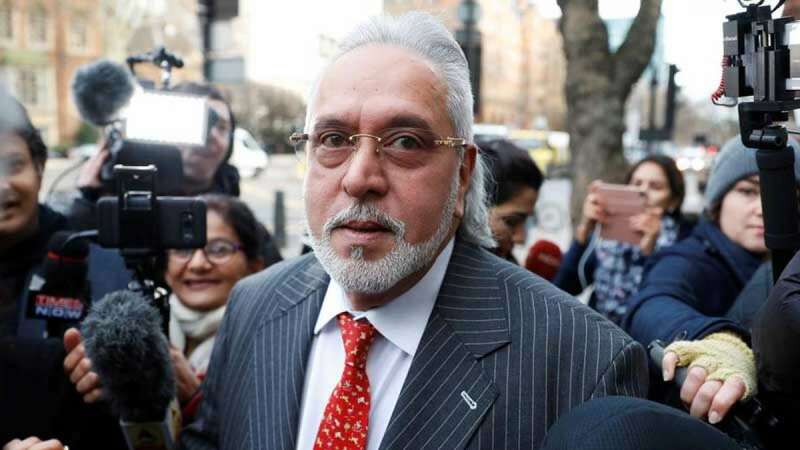 London : As the United Kingdom Okayed documents to extradite Vijay Mallya to India, the government expressed gratitude and mentioned that they are awaiting an early completion of legal process which can help them in bringing him back to India soon. Not much has been revealed in the matter as there are still chances of Vijay Mallya approaching higher authorities to stop extradition. The UK's decision can be seen as an attempt to boost India's diplomatic efforts to bring fugitives back in the country. In February 2017, the MEA had approached the British high commission with a formal request to return Vijay Mallya. Post that he was arrested and presented in a London Court on April 18, 2017. Later he was granted a conditional bail. The Indian commission had been in touch with the London authorities since then and had been taking follow ups to pace up the extradition process. Last year a government official had claimed that bringing Vijay Mallya back in India would not be easy despite an extradition treaty between India and UK.